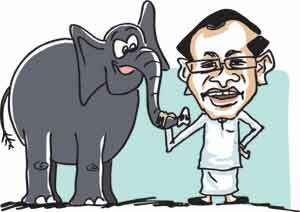 The very first attempt at forming a government with the help of the UNP was by former president Mahinda Rajapaksa in 2007 and giving leadership to the ‘yahapalana government’ was nothing unusual, President Maithripala Sirisena said. He said he and Minister Anura Priyadharshana Yapa were asked to return during an official visit to Beijing by the former president in January 2007 to sign the two-party agreement to form a coalition government. He was then the general secretary of the SLFP. At an election propaganda meeting at Ibbagamuwa, the President said he inquired from President Rajapaksa as to he they were asked to return in such a hurry. 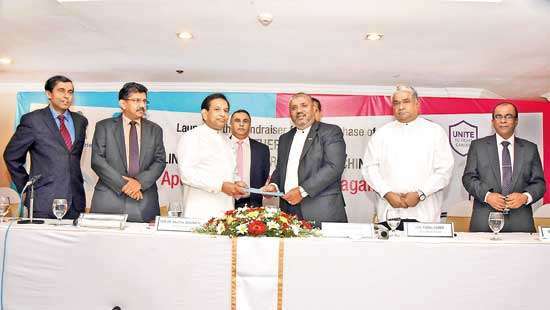 “We are going to sign an agreement with the UNP to form a government,” he said. ‘I went to the Temple Trees to sign the pact between the UNP and the SLFP. All senior UNP leaders including Ranil Wickremesinghe and Malik Samarawickrama were present. The agreement was ready. President Rajapaksa said the agreement has been drafted and let’s sign it. But I never participated in the discussion between the two parties or saw the draft either. But I signed it as instructed to do so. President Rajapaksa was able to rule the country only for a short time with the UNP and before it collapsed,” the President said. “When I took over the country on January 9, 2015, the entire world had distanced Sri Lanka it was branded as a pariah state. 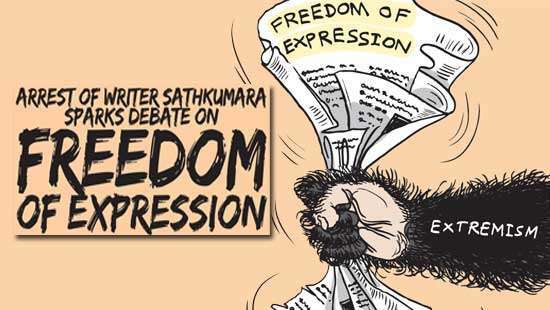 Not even five countries among 193 members of the UN supported Sri Lanka,” he said. Mr. Rajapaksa has been asked by many people to say why he went for an early presidential poll. "He has not answered this question but I will tell you why. One reason was that he could not face the pressure exerted by the international community. The second was the impending financial crisis due to the commercial loans obtained at high interest rates. 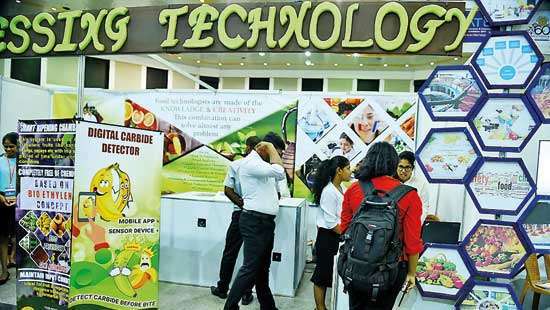 Economic pundits had predicted that Sri Lanka was on the verge of an economic melt down," the President said. 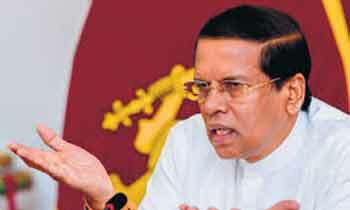 "Some ask me what I have done with the UNP in the past three years. I must tell you that, I put the Prime Minister and the Cabinet in charge of development and reconstruction and I went round the world meeting world leaders. In the process, I met Queen Elizabeth II, US President Barack Obama UN Secretary General Ban ki-Moon, Angela Merkel of Germany, Indian Prime Minister Narendra Modi and many other top world leaders." He said he was the first President in the world to have given up executive power and cut the term of office of the President. President Rajapaksha virtually pleaded with the UNP in 2007 before the onset of all out war to unite in the common cause of eradicating terrorism from our motherland. But what did the UNP do? They went from embassy to embassy, world bank to international donor agencies, globe trotting from New Zealand to America and spread lies about the progress of the war as to how it was waged upon "innocent tamil people"They refused to pay back loans taken. Surrounded the Standard chartered and NDB banks. Voted against the war budget and entertained hordes of pro LTTE diplomats en masse.But yet, Prez. Rajapaksha won. Our brave hearts won. We the people of this blessed land won.Sirisena better remember, MR didnt invite the UNP to consolidate his power or to lie and rob from the people but for a worthy, noble cause of gargantuan proportions which no other leader could do for 37 years!And todate we are free thanks to that man and our boys! You forget, in the process of winning the war he committed some of the heinous crimes against humanity that this country ever saw. He further went about robbing the country with his family members. Worse, 90% of his development projects are today waste and bankrupt and has become a virtual drainout of public money. More worse, he left behind a culture of thuggery, racism, criminality, nepotism, utter corruption and state terrorism. Further worse, generations will have to pay back the loans he blatantly took from other countries. Utter worse, he created a deep division between the ethnicities of this country destroying the fabric of society. Always coming up with stories and stories to win people`s heart. Enough Mr. President. The most funniest thing is our president s political foe is Mahinda not Ranil. People say this man being the president of SLFP doing his election campaign only against Mahinda not against UNP. He never say single word against Ranil .Where is he leading his party to ? All said and done, the fact remains you're now trying to cosy up to MR and party !